What is the best DAW for Composers? What is the best music composing software in 2018? Hi there, I’m Guy Michelmore. Like you, I’m a music composer, and in my time writing music for media I’ve been lucky enough to work with Disney, Marvel and Dreamworks on major, high budget projects. Without wasting your time, I’m going to give you two answers depending on what type of person you are. 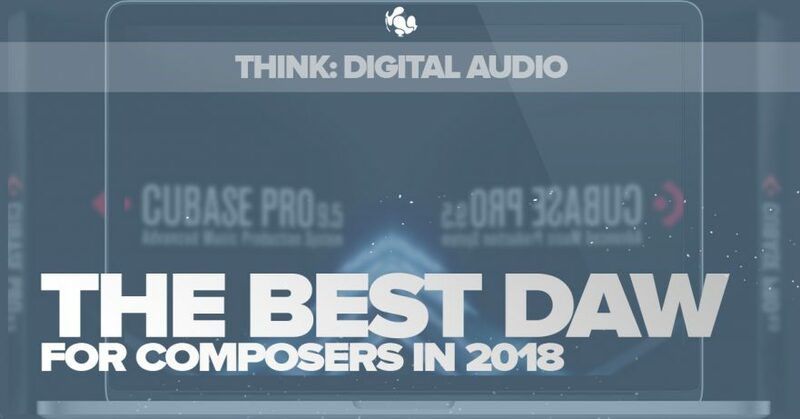 If you’re currently on a quest to find the best software for composing music, and you’ve been searching for hours (if not days or weeks), then look no further. 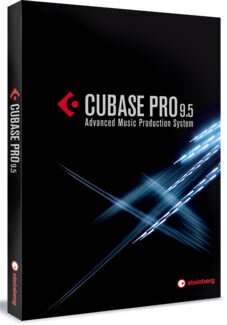 Cubase is the answer! As an aspiring music composer looking to write music for Film, games and Television, it’s more important to dive in and start writing music instead of just searching for the best DAW! Well the search is over, Cubase is the most popular DAW for composing music and is compatible with all leading operating systems. For more reasons on why I use Cubase, scroll down to my list of 7 reasons why I use Cubase. In short, you will not be let down! 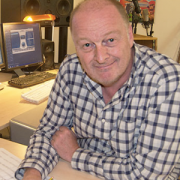 You may have picked a DAW from way back when, when options were relatively thin on the ground. If you’re looking to switch to something new then Cubase can still be a shining beacon of hope! If you’re still not convinced, download the demo versions of each DAW! That’s right, you can download and use Cubase, Logic Pro X, Ableton Live and Pro Tools for free and find out which one works best for you. For example, you might find Logic the most fun to use, or Live for it’s loop-friendly environment – and that’s ok! It’s important to enjoy the software you use, but it also has to make sense to you as a composer. 2) Cubase, Logic, Live and Pro Tools are all industry standard programs, so they’re all subjectively the best DAW available for composers. 3) Get composing now! Googling ‘the best DAW’ won’t start you on the path to becoming a film composer, time to get stuck in! True Cross platform: It works perfectly on PC or Mac so you are not tied to one manufacturer. Slaves: On really, really big rigs (1000 tracks+) you need to link your DAW to external PCs running VSL Ensemble Pro. Cubase integrates perfectly with this. Workflow: So many cool time savers from a track search box to key commands just to reveal tracks with data between the locators, things I can’t now live without. Loads more features and commands can be setup with custom key commands. That makes it a very fast DAW to work with. Sound Design: The pitch shift and render in place options are fantastic and vital for anybody manipulating digital audio and if you are not manipulating digital audio, you should be! Export: Batching export hundreds of tracks at once saves hours or days when preparing for a big live orchestral session. Power: It just does everything I want really well. It can handle everything I throw at it….and that’s a lot. Its CPU efficient and endlessly adaptable. Support: Steinberg continue to press ahead with great new features and modifications which not all developers do. But Guy… How do I make music in Cubase? Cubase can take a long time to master, however getting start composing music for films need only take a weekend! This all depends on how you want to learn. There are thousands of YouTube tutorials out there that will teach you how to use Cubase, however you may find yourself swamped by hip-hop track tutorials instead of learning how to use it to compose music for media! My answer was to create Template in a Weekend – a short course designed to guide you through building a professional, orchestral template in just 2-3 days. Watch insightful, over the shoulder tutorial videos where I, Guy Michelmore, take you from planning your build, to getting all of your instruments loaded, then finally routing and balancing everything to have it ready to go the second you start a composition! Cubase does not have chunks as Digital Performer does. So, if you work with a large video or a theatre play with several themes, we struggle with a workflow.